Old Time Values - Havertys Furniture Reviews & Styles & Quality! 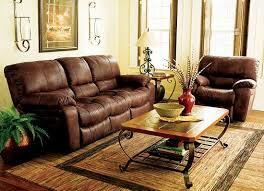 Havertys are one of the oldest furniture companies that are operating in the U.S. They were founded in 1885 by JJ Haverty and haven’t looked back since. In 1929 they went public and nowadays they have over 100 different stores which stock their wide range of items. In this Havertys furniture reviews you will learn about the history of Havertys furniture, you will learn about the types of furniture, the quality of the furniture, and the furniture warranty policy. Havertys was founded on the principle of customer satisfaction. Their mission is to provide exactly what the customer needs by tailoring their service for each individual. In doing so they seek to help improve their daily life and help solve any problems they might face. They also always strive for improvement in everything they do, building on successes of the past as they move forward. This is a key reason for how they’ve lasted so long and continual to have such a strong footing in the market. With a professional and responsible attitude Havertys have kept the same ethos as the founder had and continued to craft products to give solutions to daily problems. They aim to make life easier for all of their customers and help you get the home you truly want. With over 130 years under their belt Havertys have shown they’re offering something people want. They’ve survived several depressions and dips in the market and gone on to thrive, showing a keen business eye. Despite this there have been reports that Havertys is not what it once was and customer feedback has been slightly worrying. If you're looking for quality production, then make sure production stays in the United States like Bel. Let’s take a closer look at what Havertys is offering and the quality of their products. 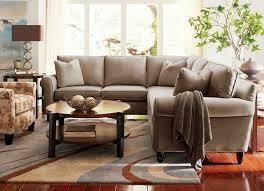 Havertys host one of the most diverse product selections of any furniture producer. They have a ridiculous number of different lines of furniture and produce collections for the bedroom, dining room, living room, office, media room and even an outdoor selection. They also stock mattresses and accessories. With such a diverse portfolio of products it’s pretty much impossible to think of any home furnishings that they don’t stock. However while they stock a lot of products it’s generally their dining room and storage pieces that are most popular and these can be seen in thousands of homes across the states. If you are interested in taking a look at a few other furniture brands then check out our living room furniture reviews page! Just like the rest of the collections, Havertys offer a lot of different units in their dining room range. Choose from chairs, dining chairs, stools, tables, cabinets and even kitchen islands, each of which have been designed and constructed by Havertys. 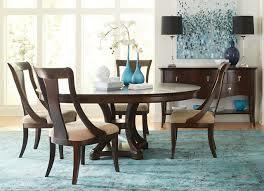 Havertys offer a lot of different styles of dining room products to choose from. Modern, traditional and contemporary options are available, alongside the contemporary and casual collections. Each of these styles is different and offers a unique twist of style and taste to suit a particular home. You’ll want to think about your current set up and which style will best complement your home, that way you’ll be able to get the most value from the products. If you enjoy the look of steel furniture, Homestrech has some great steel pieces. While for some it might be obvious what they want, others are a bit unsure so it’s always best to try and visit a store if you can. Each material gives a distinct look and a different feel so you’ll want to make sure you make the right choice. Almost all the furniture comes in a range of colours, depending on the style and materials used. Bold colours work well in modern dining rooms but traditional homeowners might opt for a more neutral palette. For several of the wooden items you’ll be able to customise the finishing. 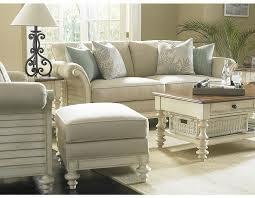 Stanley Furniture offers the ability to customize the finishes on your pieces. This helps enhance the colouring and gives subtle tones to the wood, making it look better. It also helps provide protection from wear and tear and spillage which happens a lot in the dining room. As well as offering a range of sizes to use the available space effectively, Havertys also have different collections to fit specific budgets. They offer some very affordable lines of dining room furniture but also some higher quality lines which cost slightly more. However as a brand Havertys aren’t exactly expensive so it’s all pretty affordable. Havertys back up their products with a 1 year warranty. This covers all material and workmanship defects but not standard wear and tear. It’s worth checking out their customer care guidance on the website if you’re looking to purchase from them, this will help you get a longer lifespan from your products. “We have some of their higher end stuff in master bedroom and living room, been very happy with how it has held up” - Donna P.
In fact a lot of users seem surprised by the longevity of the furniture and that is can actually stand the test of time despite being fairly budget. “The seams are frayed and ripped. They claim NORMAL WEAR! Don't shop here. Not reputable at all!” - Keller D.
Havertys have a very long history but lately people seem to have been unimpressed by the quality offered. While Havertys are a budget brand and you shouldn’t expect the world, it’s still fairly worrying and shows that perhaps the quality isn’t there as much as it should be. Overall the reviews give enough cause to be wary and you should look closely at the products before you purchase. It’s definitely worth going into a dealership when you can and not ordering online. So what’s the verdict on Havertys? They certainly aren’t the best furniture producer around. They have a massive amount of products but a lot of their pieces feel quite generic and certainly not one of a kind like the high end manufacturers. There is also a lack of consistency in their units. The quality when it’s there is reasonable but a lot of defects in their product lines means that you can’t always be assured that your product will be reliable and that it will last as long as you’d expect it to. Havertys certainly isn’t able to compete with the high end brands but it is however much more cost effective. The flaws and errors by the company are worrying but that doesn’t mean they aren’t offering any value. In fact a lot of their pieces are pretty stylish, if a little generic, and are available at a steal. If you are looking for a more high end brand then I would suggest you take a look at Stickley furniture because they have proven quality in their pieces! 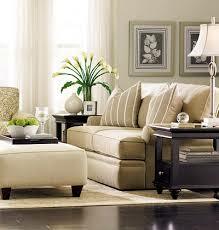 If you’re on a tight budget and looking to fit out your home then Havertys have a lot of choice. If you avoid the cheapest product ranges you’ll find that some of the units are pretty sturdy and great value at that price. If you’re careful and selective you might just find a bargain for yourself.